Clate has been educating and inspiring entrepreneurs for over a decade, and is recognized by the small business community as a visionary leader. His passion for small business success stems from his personal experience taking Infusionsoft from a struggling startup to a seven-time Inc. 500/5000 winner. As CEO, Clate is leading Infusionsoft on its mission to create and dominate the market of all-in-one sales and marketing for small businesses. 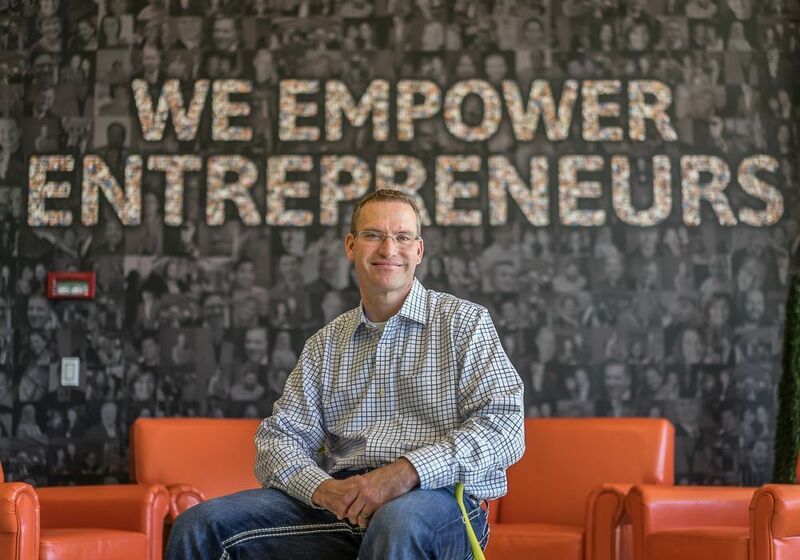 Under Clate’s leadership, Infusionsoft has landed three rounds of venture capital including a $55 million Series C led by Bail Capital Ventures. He was named an Ernst & Young Entrepreneur of the Year finalist, a Top 100 Small Business Influencer by Small Business Trends, and Business Leader of the Year by the Arizona Technology Council. Clate is a national speaker on entrepreneurship and small business success, and co-author of the New York Times bestseller Conquer the Chaos: How to Grow a Successful Small Business Without Going Crazy. Clate has a B.A. in Economics from Arizona State University, as well as an M.B.A. and a Juris Doctor from Brigham Young University. We are a software company united by one purpose: to help small businesses succeed. But this isn't our story. It's yours: the entrepreneurs transforming the world with grit, passion, and purpose. Entrepreneurs who know that what you stand for is just as important as what you sell.